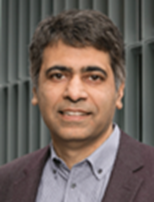 The HKKMS is delighted to welcome our next International speaker, Professor Ikhlaq Sidhu , Faculty Director and Founder, Sutardja Center for Entrepreneurship & Technology at the University of California at Berkeley. Professor Sidhu will address the topic ‘Extracting Knowledge from Data’. Expect an engaging and thought provoking evening. Registration for this event has completed. Ikhlaq Sidhu is the faculty director and founder of UC Berkeley’s Sutardja Center for Entrepreneurship & Technology. He received the IEOR Emerging Area Professor Award from his department at Berkeley. Ikhlaq Sidhu is an innovator with an industry background and the perspective of an academic. He teaches, advises, and manages people to enable impactful and relevant innovation, which today demands a different kind of leadership. From him, people learn how to create new things that are technically complex that will also actually have impact in the real world. He is an innovator in the narrow sense (e.g. created 60+ patents, technology, and products) and he is an innovator in the broad sense (e.g. launched ventures, raised funds, founded organizations, led businesses, and navigated complex political challenges) within areas of data networking, telecommunications, and academics. By now, Sidhu is probably most known for bringing an industry perspective to academia. He founded the Sutardja Center for Entrepreneurship & Technology in 2005 and launched its many spin-offs programs. With Ken Singer, he co-created the Berkeley Method of Entrepreneurship (for students) and the Berkeley Method of Innovation Leadership (for existing companies). Both of these frameworks add concepts of social-psychology, mindset, and journey to the traditional steps of innovation. The spin-offs from his work at Berkeley include the GVL in 2008, the Fung Institute in 2009, the Engineering Leadership Professional Program in 2011, SkyDeck in 2012, the Innovation Collider in 2015, and Data-X in 2016.